Internationally renowned artist Derek Hess understands first hand that people such as himself are in a unique position to start important dialogues about intimate universal struggles. For years, Hess has been raising awareness about a subject very close to him, mental illness - even going public about his struggle with alcoholism and bipolar disorder (often categorized as Dual Diagnosis) and releasing an award-winning, autobiographical documentary, Forced Perspective (2016). Forced Perspective showcases the evolution of a celebrated artist and his effect on music and culture while highlighting the link between creativity and mental illness. 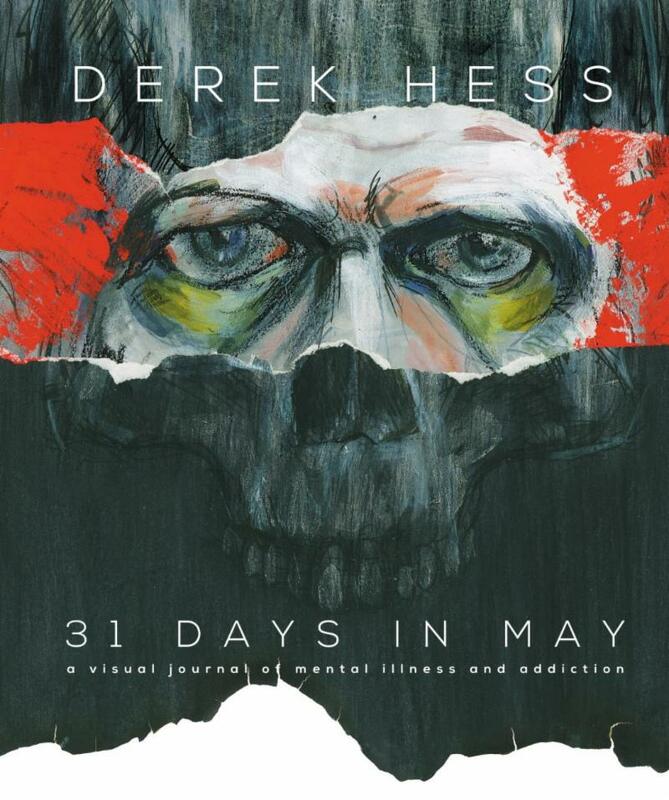 In May, Hess will continue the discussion about mental illness by honoring Mental Health Awareness Month with the release of his new book "31 Days In May: A Visual Journey." In May of 2017, Hess posted a daily image to his social media outlets that showcased his ongoing battle with bipolar disorder and substance abuse. What started off as self-exploration quickly turned into a personal journey for many dealing with their own mental health and addiction issues. These images have been assembled into "31 Days In May: A Visual Journey" - a look at the link between creativity and mental health as told through Hess's artwork. Topics such as loneliness, relationships, depression and suicide are beautifully and painfully depicted throughout this book with the hope that it not only helps alleviate some of the stigma surrounding mental illness, but also helps to educate readers. In conjunction with the release of "31 Days In May," Derek Hess is pleased to announce the "31 Days In May Tour," visiting approximately 20-30 different locations across the United States this May - Mental Health Awareness month. Derek will be doing book signings, screenings of Forced Perspective, and organized talks. A portion of all book sales on the tour will be donated to the mental health or addiction awareness organization of the venue's choice in each city that we visit. 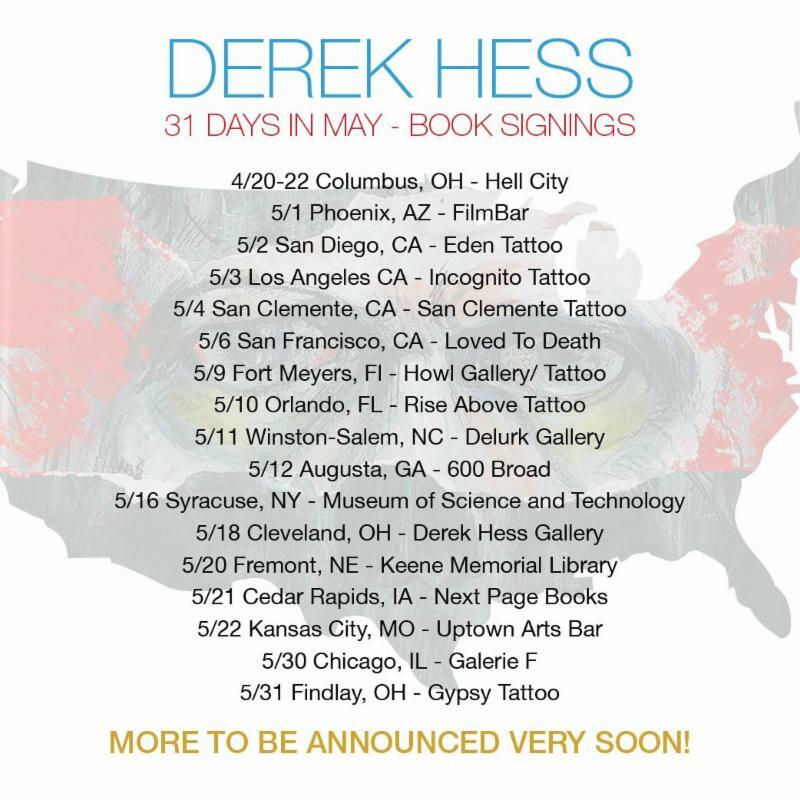 During the "31 Days In May Tour," Hess will forgo the high end gallery setting he's used to and focus on non-traditional locations such as high schools, universities, bookstores, mental health organizations, libraries and shops. About Derek Hess:Artist Derek Hess's work has been recognized in both the music and art world for more than 20 years. Hess began creating promo flyers for live rock shows in Cleveland, OH in the 1980s. These flyers soon gained the attention of a multitude of national and local bands and are part of the permanent collections of the Grammy Museum, The Rock & Roll Hall of Fame and the Louvre in Paris.